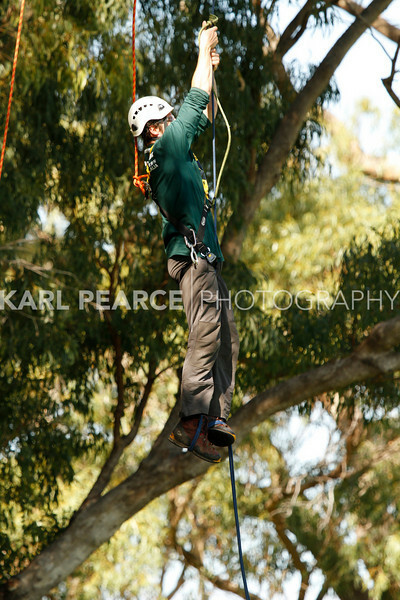 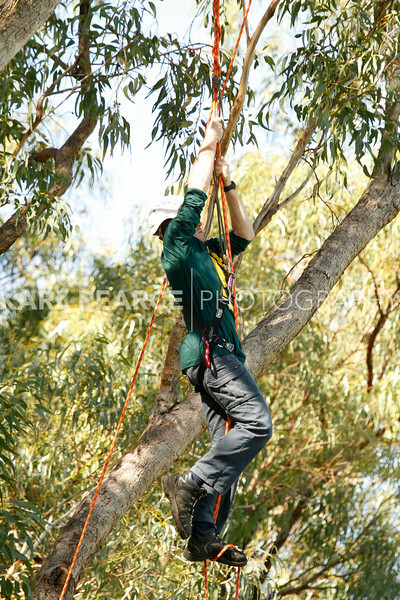 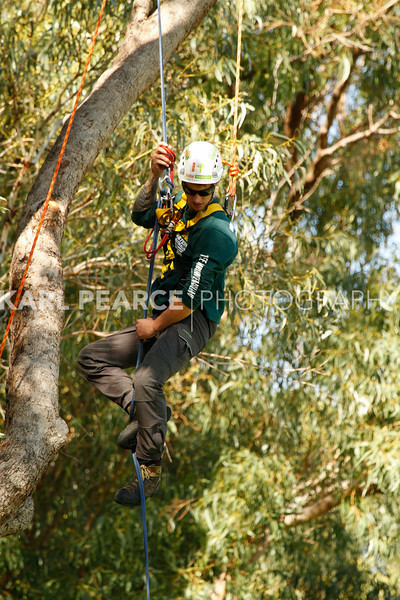 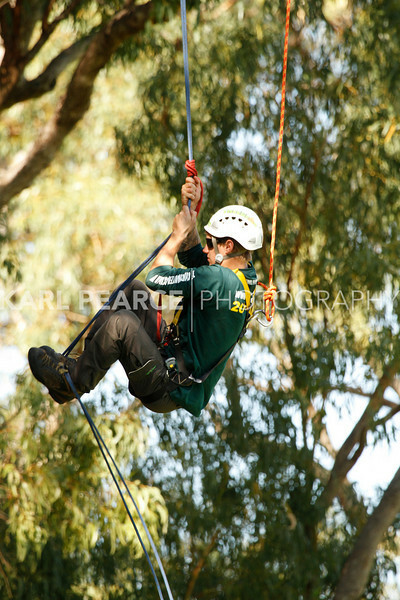 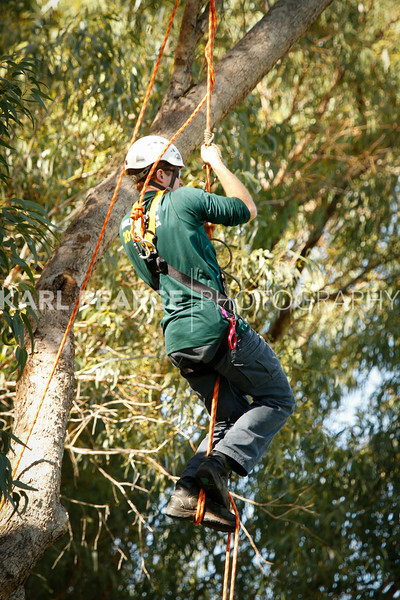 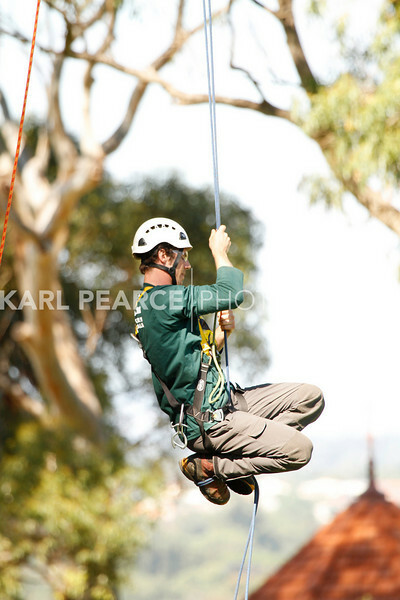 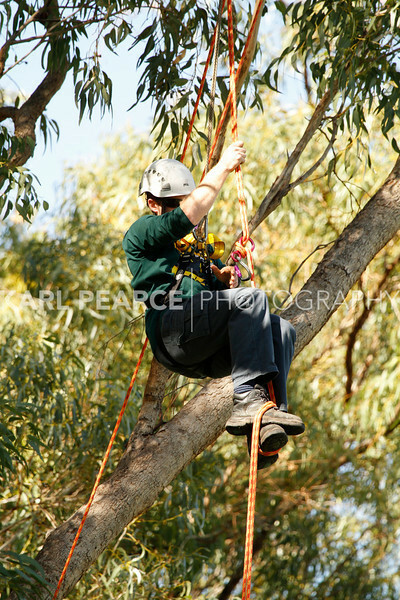 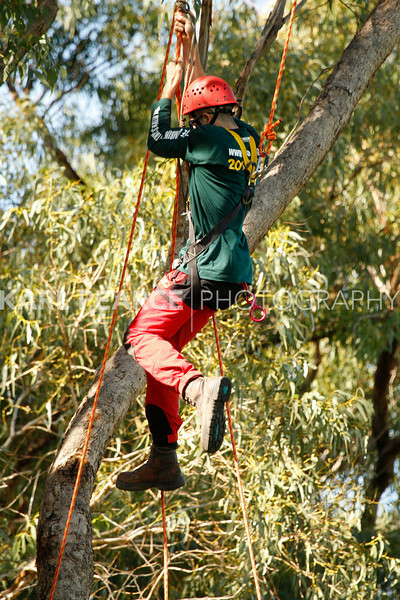 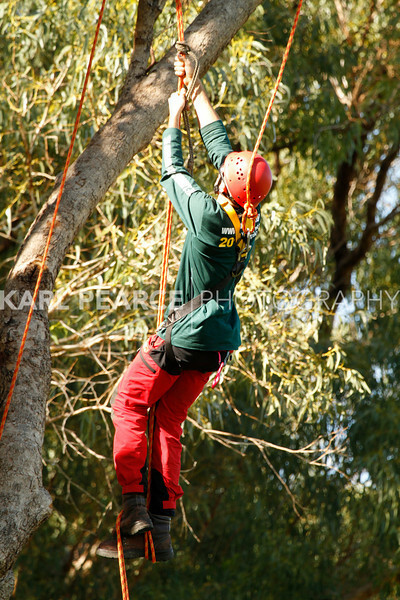 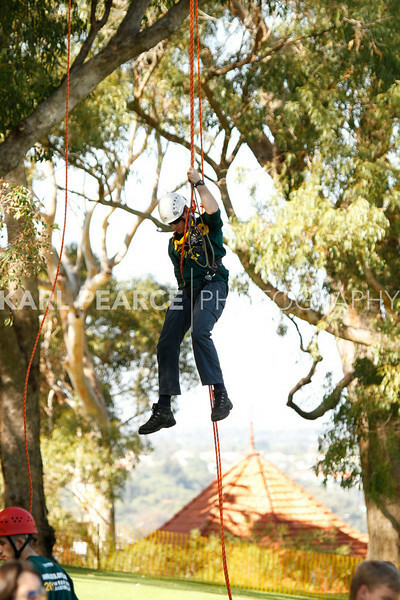 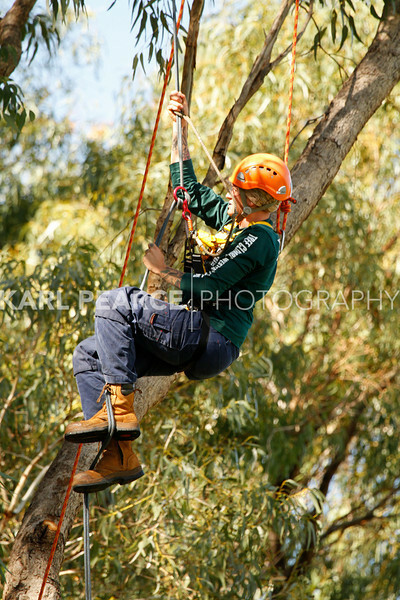 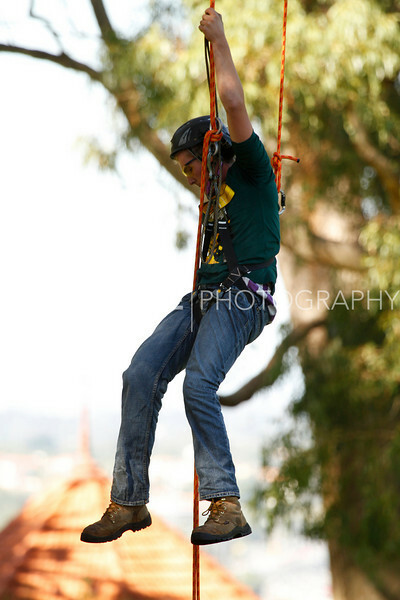 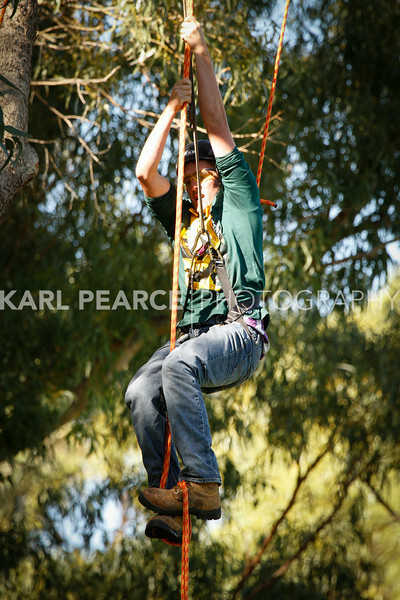 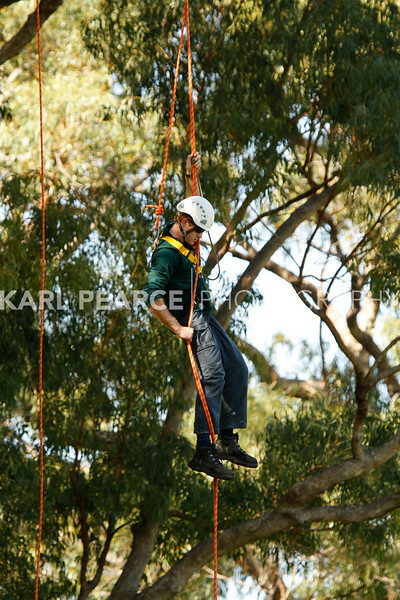 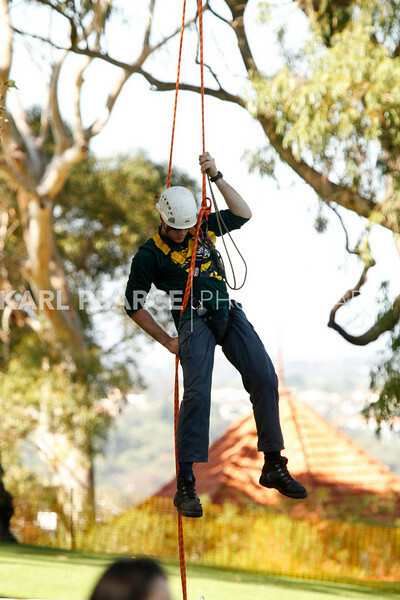 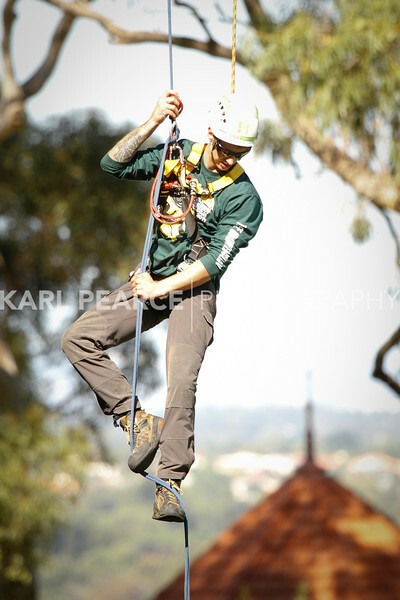 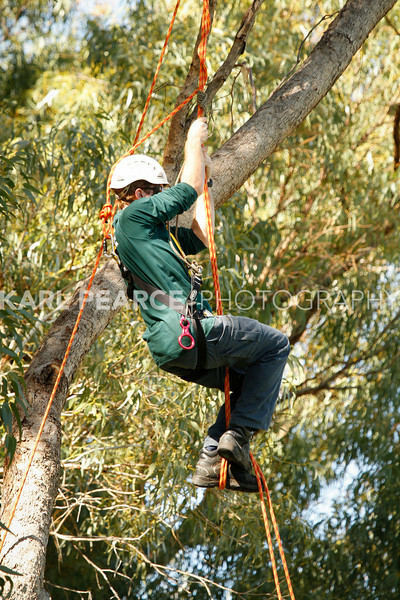 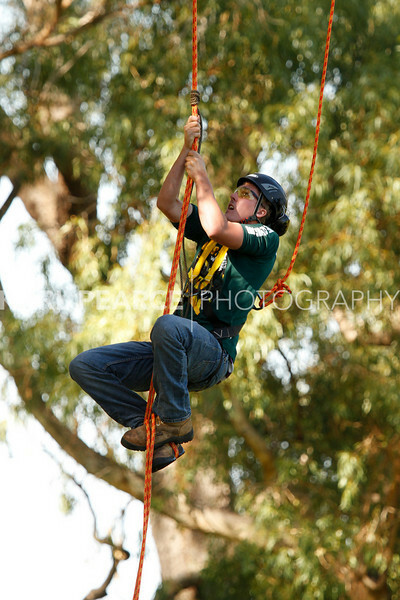 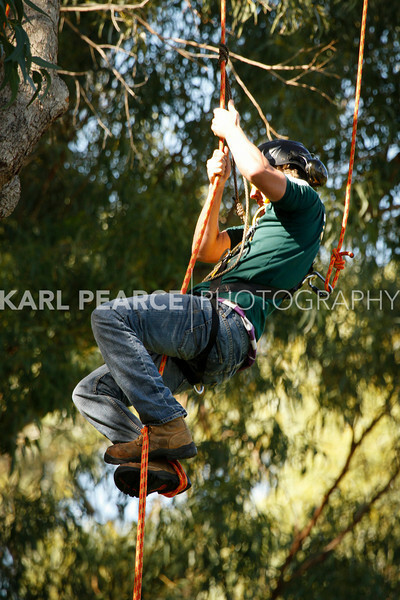 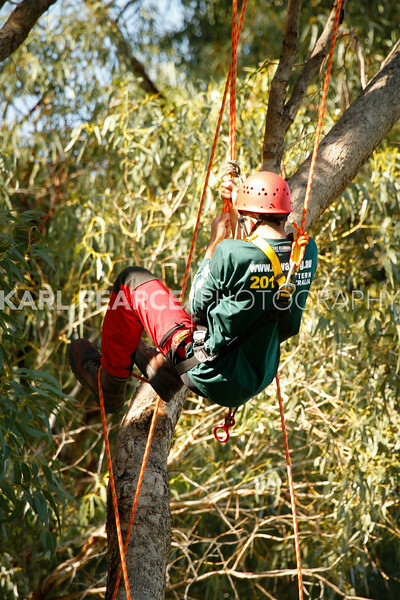 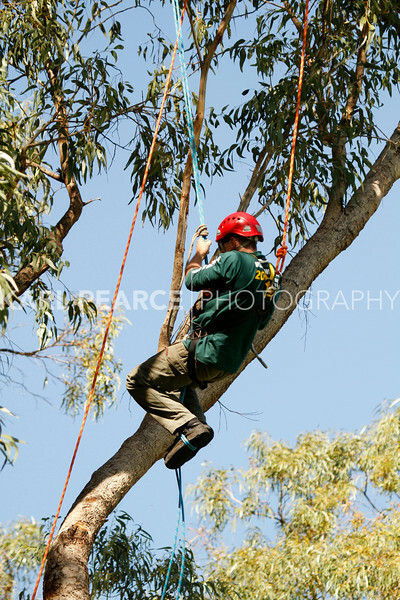 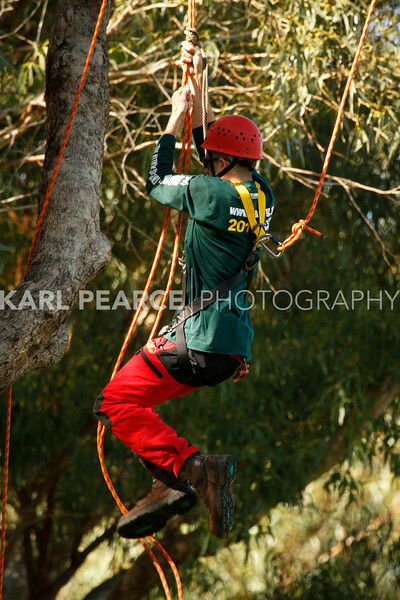 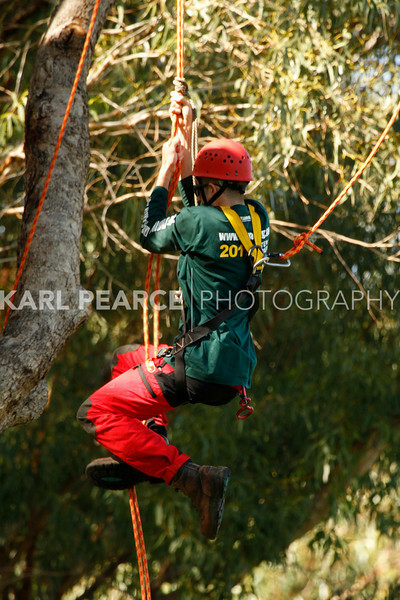 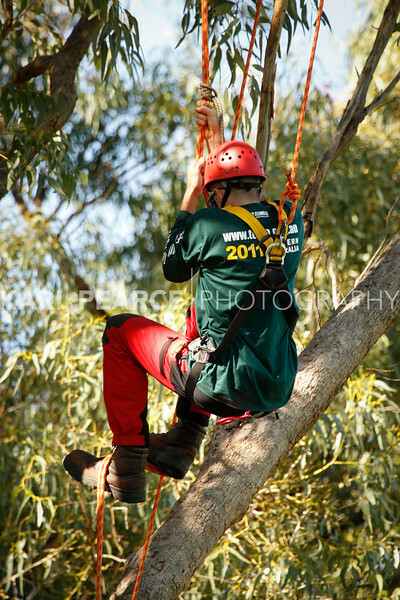 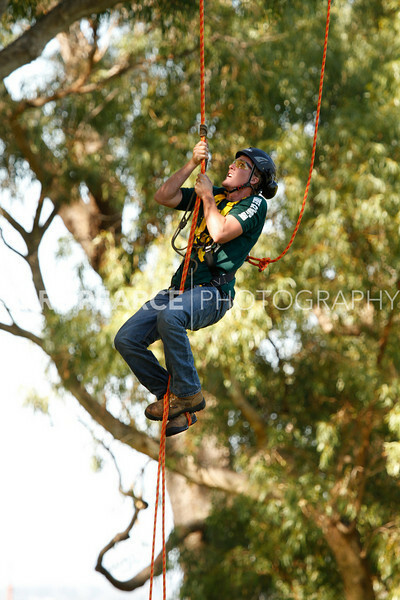 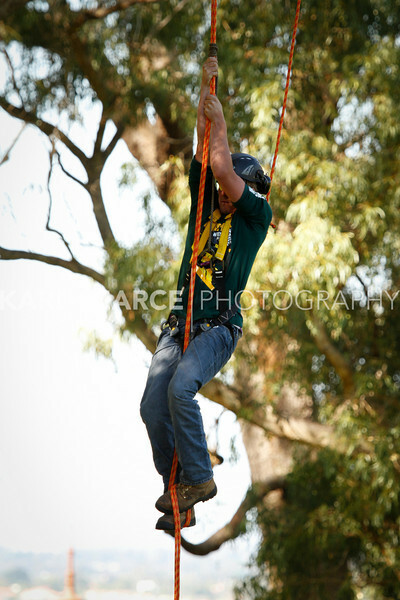 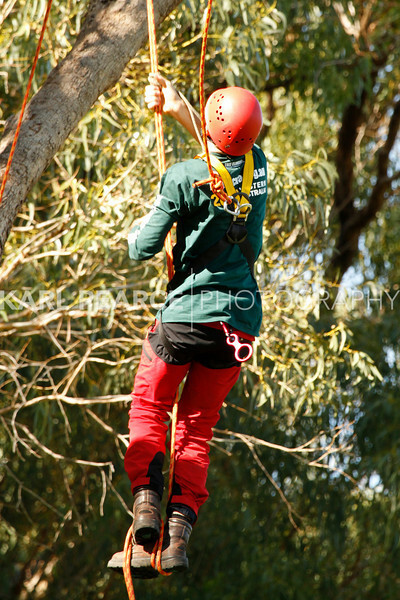 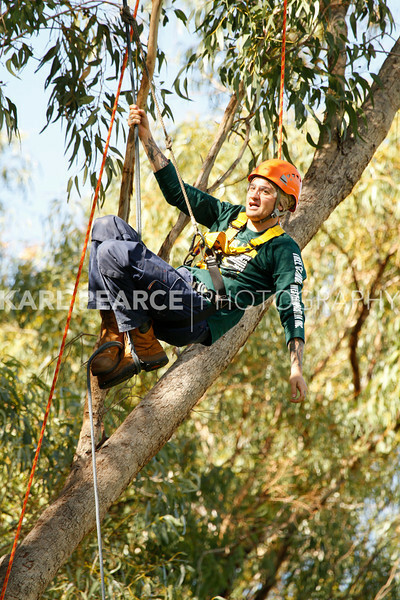 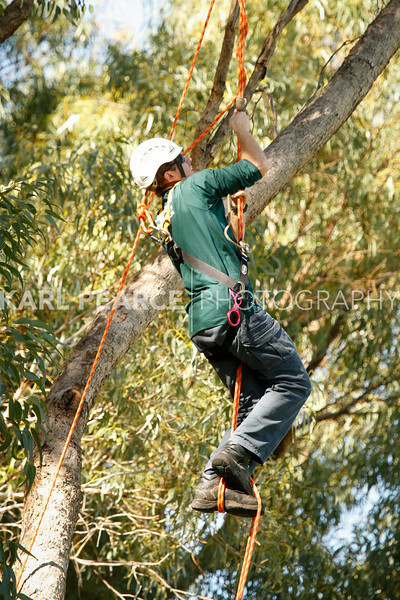 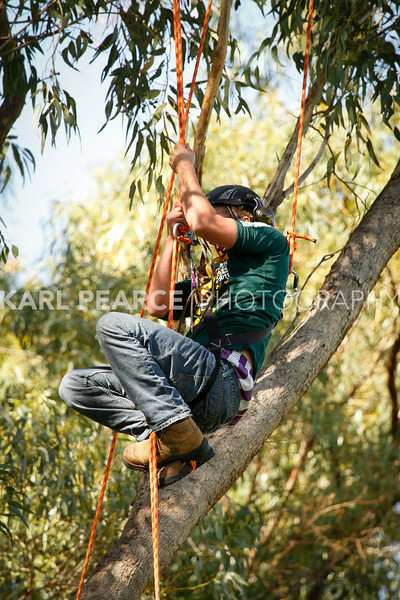 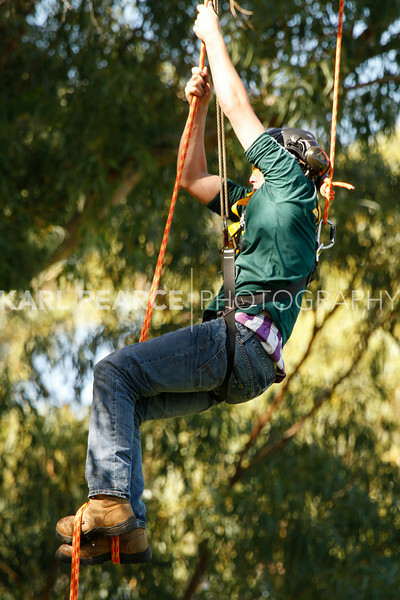 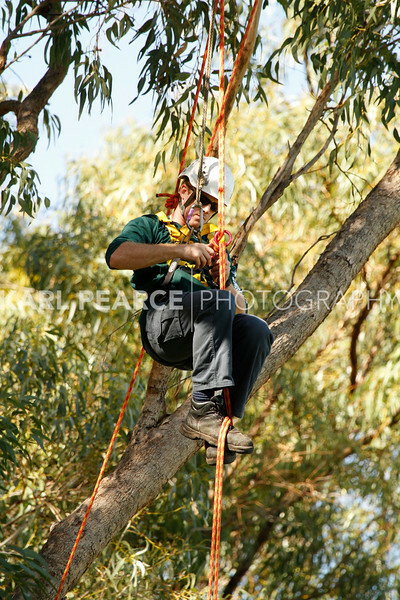 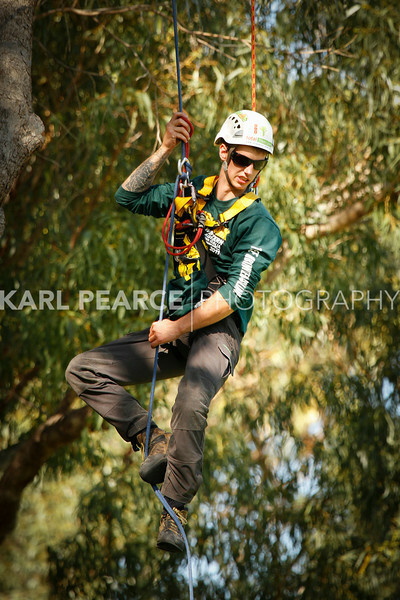 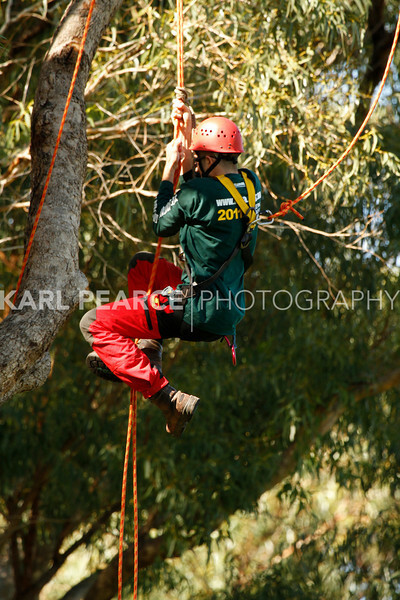 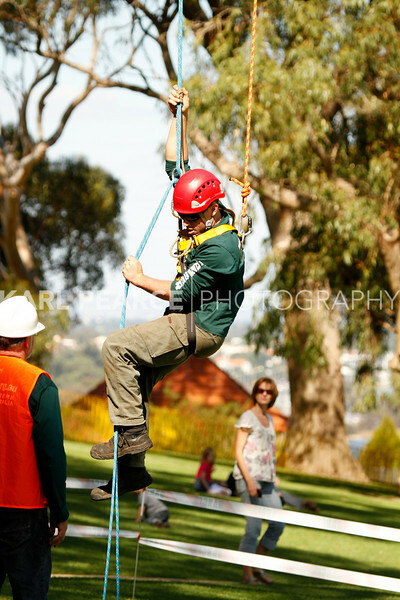 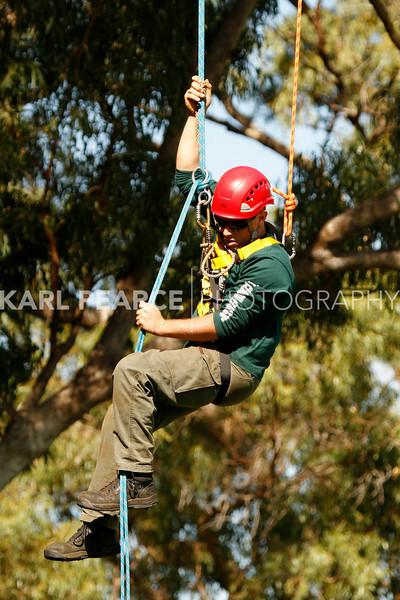 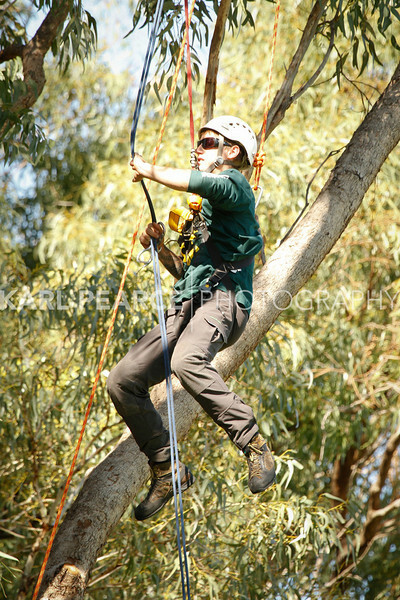 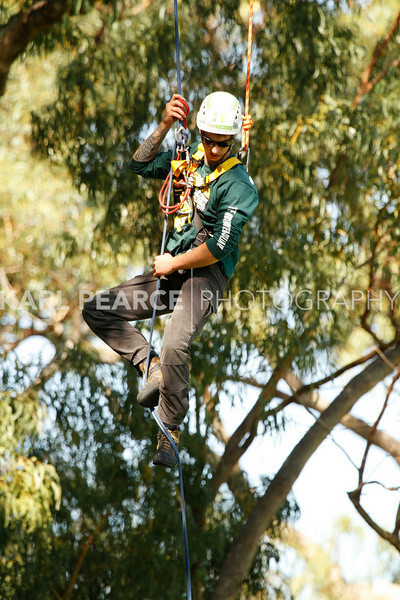 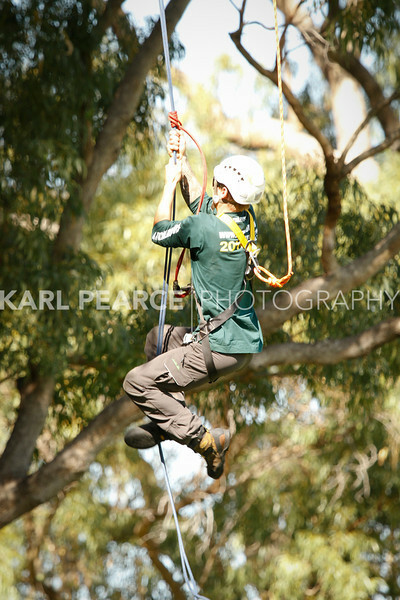 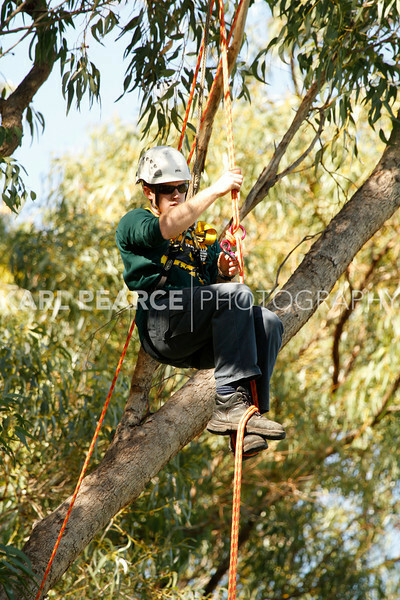 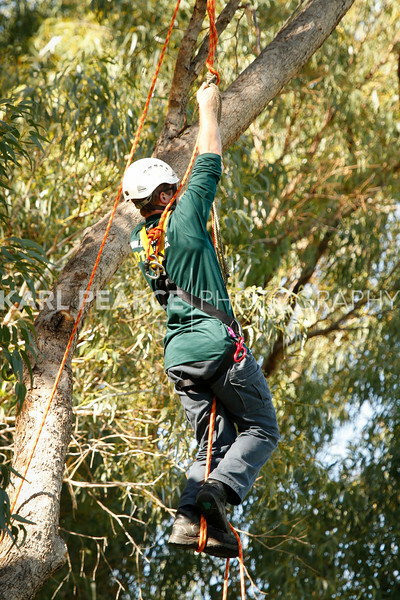 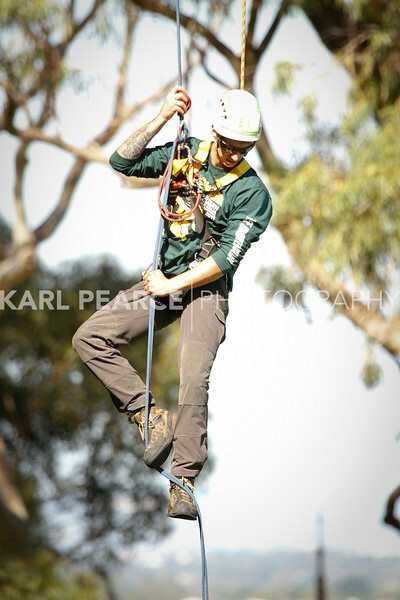 One of the preliminary rounds of the WA Tree Climbing Championships 2011, the Foot Lock Event is designed to test the performance and ability of a climber to ascend into the tree, using a traditional method of ascent, named the Foot Locking Technique. 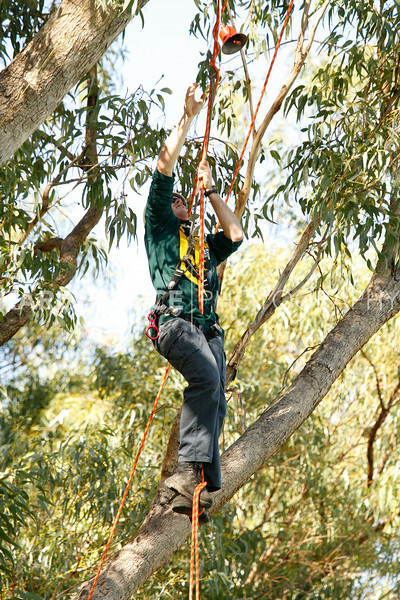 The name for the technique foot lock was derived from the action of using your two feet to create a knot in the rope in which you can then elevate up from. 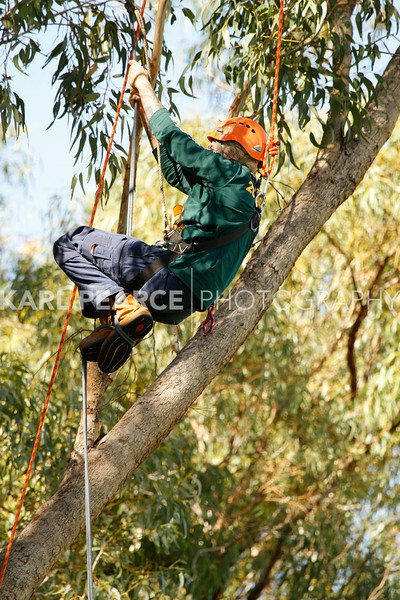 Same as a person would use the steps of a ladder to gain access to their house ceiling; tree climbers use their feet to create a knot in the rope in which they can use to step up the rope and gain access into the tall tree as a result. 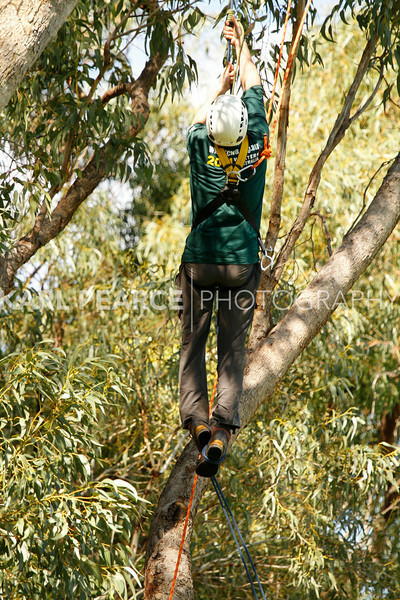 This special technique is where the name for the Foot Lock Event came from.